FREE Radio Flyer At ToysRUs Pre-Memorial Day Event! May 21 Only! You are here: Home / FREEbies / FREE Radio Flyer At ToysRUs Pre-Memorial Day Event! May 21 Only! On May 21, from 1 PM to 3 PM, ToysRUs is giving away FREE Radio Flyer Collectible Mini Wagon for kids ages 5 and up as part of their Pre-Memorial Day Event! 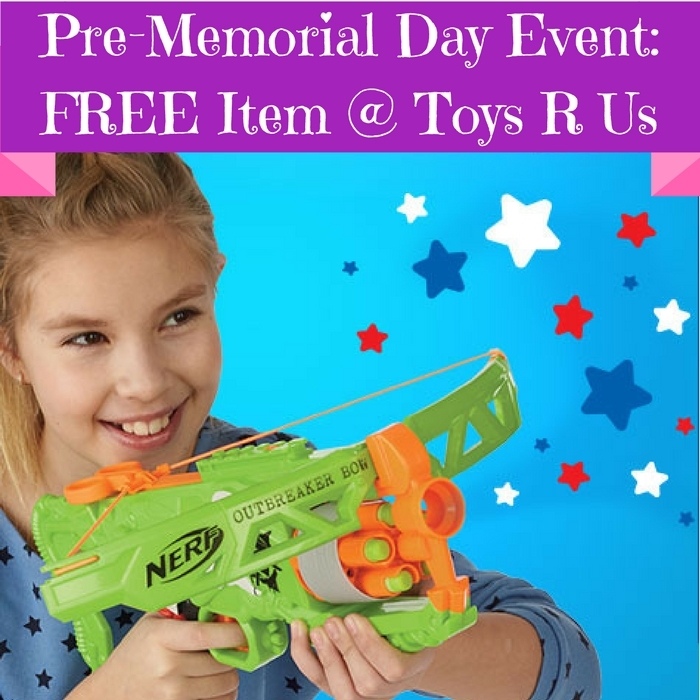 In addition to the FREE item, they can also try NERF Zombie Strike Outbreaker Bow and have a chance to win FREE NERF Alien Menace Ravager Blaster ($34.99 value!) and FREE Collectible Bike Blinker! This is really amazing! Mark your calendar so you won’t miss this awesome event! Search for the nearest ToysRUs store!